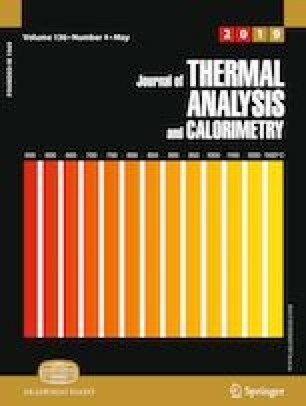 This work focuses on the nonlinear electrochemical (EC) activity of fluids and its impact on the accuracy of their thermophysical property measurements using the transient or periodically modulated hot wire method (THW or 3ωHW). This underestimated source of errors becomes crucial for nanofluids, where the thermal conductivity enhancement coefficient (k/k0 − 1) is small, requiring high-resolution measurements (below 1%). Theoretical predictions combining thermal and EC nonlinearities are confronted to experimental results obtained with two variants of 3ω cells. Water-based nanofluids (TiO2 and Al2O3) and water solutions of acetic acid, sodium hydroxide and sodium chloride were tested. The two classes of samples show different 3ω amplitude and phase behaviors, which is attributed to additional electrokinetic effects in nanofluids. For all studied samples an anti-correlation between the magnitude of the harmonics and the dc electrical resistivity of the samples was observed. A simple estimation method of 3ωHW errors is proposed consisting in measuring the 2nd harmonic in addition to the 3rd one. The combination of 2nd and 3rd harmonics allowed determining the nonlinearity coefficient which quantitatively characterizes the EC activity of samples. Eventually, the radical solution to avoid the discussed sources of errors is to use an electrically insulated hot wire sensor. This work was carried out in the frame of the European Project COST CA15119, “Overcoming Barriers to Nanofluids Market Uptake, NANOUPTAKE.” The 3ωHW instrument development was supported by “Dispotherm” project of SATT Nord Technology Transfer Office, France. Dr. C. Popa has kindly offered the TiO2 and Al2O3 nanofluid samples.